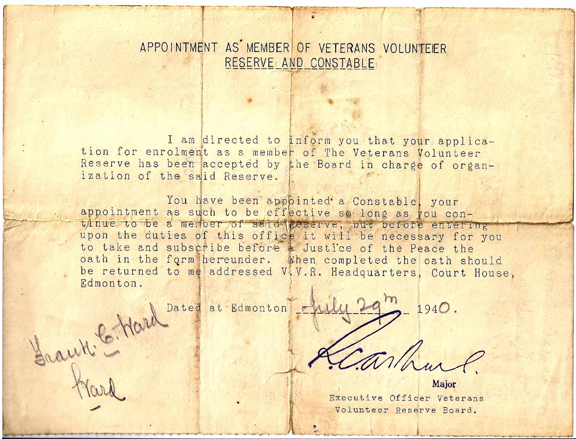 The Province of Alberta’s Volunteer Veterans’ Reserve was established in June 1940 as an auxiliary constabulary for the observation of vulnerable points such as dams and bridges. 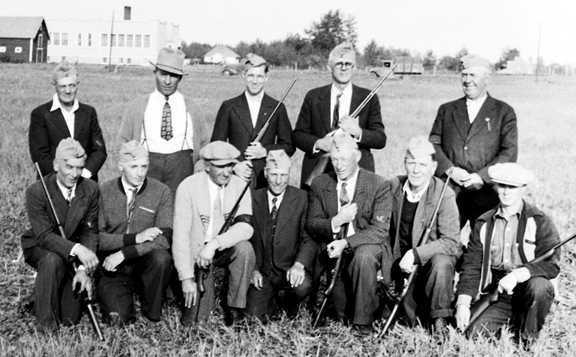 As with other veterans’ volunteer groups, surveillance for subversive activity sadly often included attention to productive European immigrants. No arrangements were made for a uniform, but the men were provided with a black armband marked “VVR” in red and a field service cap for identification. One of the principal functions of these identifying items was to indicate to the population at large that a group such as the Reserve existed and they were issued to each full member when he had sworn his Constables Oath before a justice of the peace (1). Letter of appointment to a volunteer. The caps were fairly well constructed but in a very economical fashion. The fabric was light grey throughout. The single-layer curtain did not overlap at the front and was free along its top. There was no lining and a wide range of coloured imitation leather sweatbands were used. 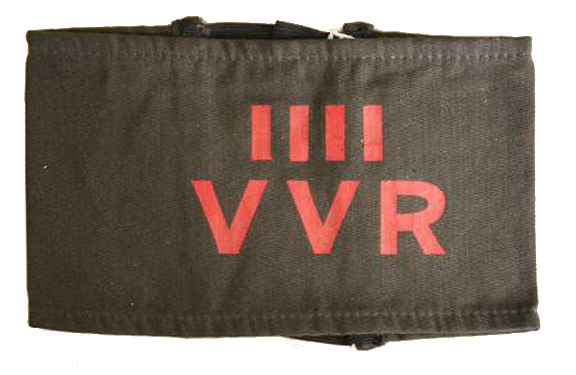 The unit designation “V.V.R.” was stenciled in red in the usual location for a badge and the brass 20-line civil “Canada” buttons were sewn without buttonholes. 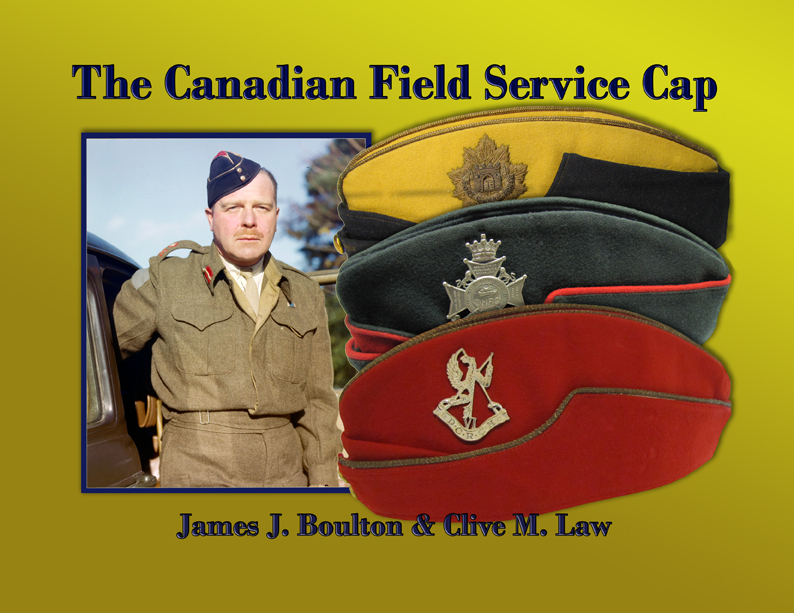 The VVR cap emulated the army’s field service cap in design but was manufactured with the most economical material. 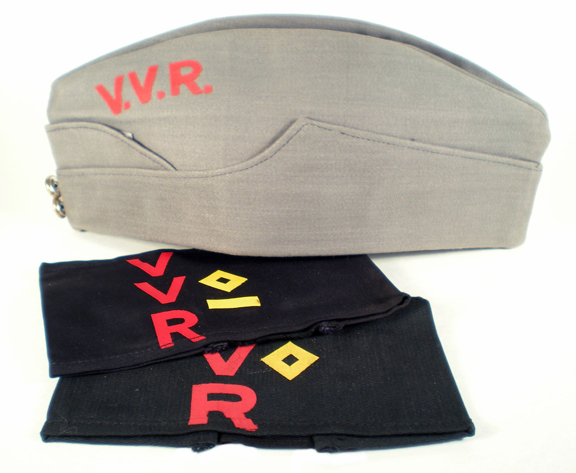 These armband variants display VVR ranks but no documentation has been located to identify the various rank grades. Armbands and caps were manufactured by Northwestern Manufacturing Co. Ltd. and were first issued to the larger urban units, and later to rural units (2). 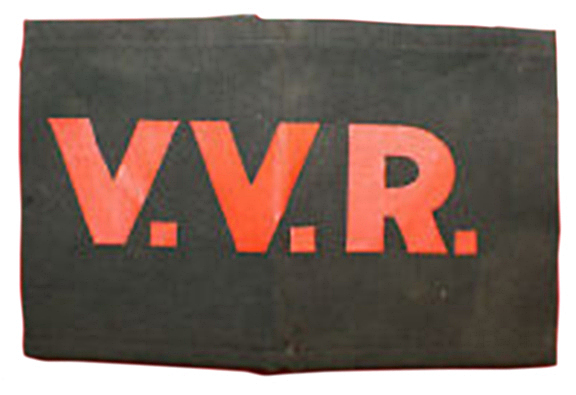 The armbands were black, stenciled with the letters “VVR” in red. What was considered to be appropriate use for the caps and armbands varied from place to place and appears to have been determined on an ad hoc basis according to common sense, military tradition and individual directives from V.V.R. Headquarters, In larger urban units, wear tended to be more strictly defined (3).